COP 20 UN Climate Change Conference. (Lima, Peru) Photo by UNFCCC/Flickr. Negotiators have yet to agree on whether to include in the agreement a process for assessing countries’ proposed climate actions, known as the Intended Nationally Determined Contributions or INDCs. Hanging in the balance is whether there will be an official UNFCCC process for countries and other stakeholders to ask questions about the ambition and fairness of country mitigation proposals and how much of a gap there is between the initial proposals and what’s needed to keep the average global temperature increase below the internationally agreed 2 degree C (3.6 degree F) target. At the end of the first week, countries were divided on this issue — although not along the usual developed vs. developing country lines. Some strongly supported a rigorous and open assessment process. Others were resisting this approach. Effective assessment provisions would greatly strengthen the agreement. These could include expert workshops, provisions for public UNFCCC forums where countries could engage and respond to one another, and an online bulletin board where governments and civil society groups could comment on INDCs and countries respond. 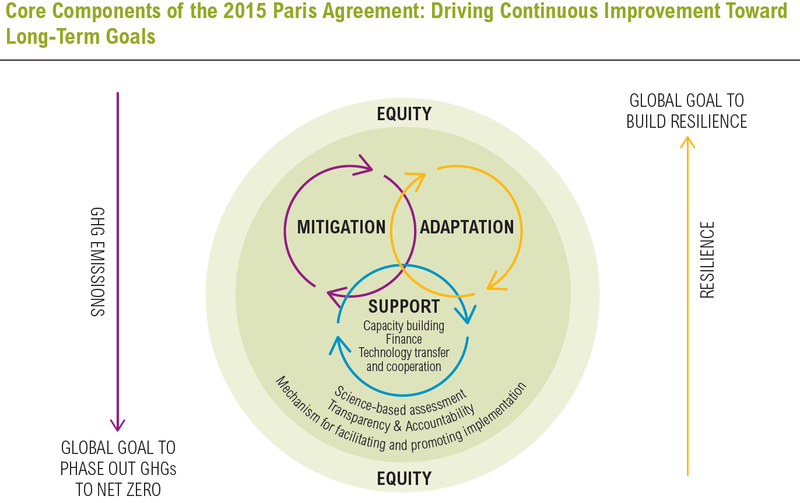 $100 billion in Dedicated Climate Finance by 2020? With pledges to the Green Climate Fund (GCF) nearing the initial target of $10 billion, there was welcome momentum on climate finance coming into the Lima talks. Additional pledges this week could push the total over the target, a symbolic milestone that could be welcomed in the decision document issued at the close of the conference. Needed now: ways to accelerate progress on the long-term goal of mobilizing $100 billion by 2020 as pledged at the 2009 Copenhagen climate summit. Contributions to the GCF count towards the $100 billion, but a good share of the total funds will likely flow through from other channels. Ensuring that dedicated climate finance reaches at least $100 billion will require mobilizing a range of sources, including public funds, investments from national and multilateral development finance institutions and private finance. A high-level finance ministerial in Lima this week is an opportunity for finance ministers to commit to scale up these long-term investments and to agree to work with the UNFCCC and in fora such as the G7 and G20 to make rapid progress. While reaching the $100 billion target is an important prerequisite for an agreement at the Paris COP, addressing climate change will also require ways to ensure that all long-term investments, especially in infrastructure, are climate smart. Many developing countries continue to emphasize that adapting to climate impacts is as important in the agreement as cutting carbon pollution. These countries are discovering ways to pursue development goals and improve people’s lives, even in the face of climate change, and are asking for support. How to reflect and support these efforts within the agreement is a central question for the negotiations. One issue is whether countries will include contributions to adaptation efforts in their INDCs. Some countries insist this should be required, while others would like the agreement to be silent on this point, making such inclusion optional. A related issue is whether to include in the agreement a regular adaptation assessment cycle for countries to review whether adaptation efforts are achieving needed outcomes and decide on future actions. One proposal would include in the 2015 agreement a qualitative, aspirational goal — such as all communities having the means to adapt to climate challenges — that would provide a context for periodically assessing adaptation efforts. While these issues do not need to be fully decided this week, it is important that options are included in the framework that emerges from Lima. If past rounds of climate talks are any guide, negotiations on these and other issues will continue to the 11th hour and beyond, with late-night sessions at the end of the week. The decisions made here will be crucial for the outlook for a 2015 agreement in Paris. The negotiations will inevitably be tough, but there are reasons for optimism. There is a growing recognition, amplified by the New Climate Economy report released at the UN Climate Summit last September, that climate action and shared prosperity go hand in hand. While there are important differences among the negotiators, ultimately strong climate action and a strong agreement are in everybody’s interest.